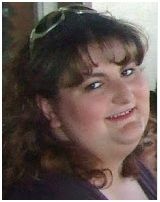 Chantel Rhondeau is a talented writer of romantic suspense and one of my first critters over at the on-line critique group Critique Circle. Over at Critique Circle, I’ve been the beneficiary of all of Chantel’s helpful critiques, which have done so much to help me improve my work. And I’ve also had the chance to review Chantel’s excellent work. I’ve already published an author interview with Chantel for her first novel Always & Forever . It gives me great pleasure to bring her back for the release of her second novel, Crime & Passion, available from March 2013. Since Chantel has also gained a great deal of experience in indie publishing, I’d like to touch upon this as well and ask her to share with us her lessons learned and advice for those of you thinking about self-publishing. Over to Chantel! Congratulations, Chantel! How does it feel to publish your second book? Thank you so much, Kimberly! Honestly, it is awesome. When I published the first book it was a little scared and overwhelmed. This time, I’m just extremely excited! Can you tell us about the plot of Crime & Passion? My heroine, Madeline, finds a dead body on the beach. The first responding police officer is Donovan Andrews. When the body ends up belonging to someone Donovan has had an altercation with in the recent past, evidence surfaces that points to Donovan as the prime suspect. Madeline did see someone fleeing the scene when she came upon the body, and she is 100% sure it wasn’t Donovan. Proving it is the problem. The killer makes threats against Madeline and the body count rises, sending terror through the small town. Donovan races to clear his name while protecting Madeline at the same time and, of course, things between them heat up on a personal level. Your romantic hero, Donovan, is quite the cad/ladies’ man. How did you come up with his character? I was honestly so worried about re-writing the same sort of characters that I had in my first book, I tried to come up with someone as different from Zach in Always & Forever as possible. Truth be told, I hated Donovan when I first started writing him, but there are many layers to his character and reasons behind all his actions. Once I got to know him, I ended up loving him! I was one of your early critiquers on this book – which I was really enjoying – but you wrote it and edited far too fast for me to keep up with during a busy writing period of my own. How on earth did you manage to write/revise this so quickly? What are your writing rhythms? I don’t pre-plot, so didn’t always know where it was going, who the actual killer was, or how it was going to end. I couldn’t write fast enough for myself. I wanted to know what would happen next! Coming up with the back stories and motives for all of my suspects was so much fun, and I really had a good time with the romance aspects between Donovan and Madeline. I basically wrote every spare moment I could squeeze things in for a few months, racing to the end. You’re becoming quite knowledgeable about indie publishing. What lessons have you learned now that you are self-publishing your second book? What advice could you offer to authors considering this route? I think the first thing any Indie has to decide is whether you’re going the free route where you give your books all away to try to get your name out there, or if you are going to be content with a slower start to your career. I have a lot of friends who are doing free. They don’t seem to sell consistently though, and when they do, usually it’s because they’ve priced for 99 cents. I want something a little different so decided not to do free and that 99 cents should only be done for special promotions. I view this as a marathon. Hopefully, in 5 years I’ll be making a little money but I also think of my writing as a hobby which I do because I love it. Cost can be a bit of a factor for an Indie writer, since you are responsible for everything associated with producing a book: Cover art, editing, formatting, and marketing. One place I recently discovered is a new distributor where you can have your book formatted with a working table of contents for free and you do not have to use their distribution if you don’t want to. This can really save money on hiring a formatter for $60-$100. It is still in beta phase, but you can check them out. How do you handle marketing and publishing? Has there been a big learning curve for this from Book one to Book two? Can you share what you’ve learned? The self-publishing part gets easier with more practice. I use Createspace for on-demand paperback printing, but the real sales all come from e-books for me. I sell the most at Amazon, a few through Barnes & Noble, and so far a whopping 2 titles at KOBO. However, I have my books available at the smaller places just in case someone besides a Kindle owner wants to read them. The first book is a bit difficult from a publishing standpoint to figure out how to do it all, but the second is a breeze. If you have no clue how to format, I really recommend this book. It’s what helped me the most. Marketing is a hard beast to master. My best advice is to get out there, meeting other authors and bloggers, so that you have a support group to help you launch. Get to know people through Twitter that can help you spread the word of your novel. A great place to meet other authors is Critique Circle, where I met you, Kimberly, and everyone else who has become my greatest supporters. Make friends, help others, and they will help you. Also, research before paying for ads and see what other authors think. I’m doing a paid book tour this time around in June, I paid for a promotion through BookDaily, and I am doing a promotion with Always & Forever next month through Ereader News Today. Nothing is certain with marketing. You never know what will work for a particular book, but getting your name out there is important. However, I wouldn’t actually worry about paying any big money for marketing until you have a few titles out there. Then, marketing for one book can help sell the others and you will get a bigger return. What’s your next project? Right now, I’m really excited to be working on Love & Deception, my next book. It’s about an American spy who is fighting the war on terror on home soil. Nick thinks he is investigating a terrorist leader, but starts to question whether his information is correct after meeting Carlie. It’s against the rules to become emotionally attached to a target, but Nick has a hard time fighting his feelings. Then, his boss sends down a new order: Kill the target. Thanks so much for joining me, Chantel! Thanks for having me, Kimberly! Thanks so much, Cat. Best of luck on your books as well. I really do think promotion can be the hardest part – would have never believed that when I was first doing the writing though 😉 I guess we just have to love the writing part and suffer through the rest – LOL Thanks again! Thanks, Catherine! In this Brave New World of publishing, I think we all have a lot to learn from other authors’ advice and experiences, which is why it’s so great to see fellow authors so happily sharing their lessons learned. An interesting, informative and well rounded interview. Great to see mutual support amongst writers, and the book plot sounds intriguing. Good job, both of you! Thanks, Chris! This has been one of the nice ‘discoveries’ for me, too, when I started writing: all of the help, support, lessons learned that are shared by writers. Thanks, Chris. And yes, I totally agree with Kimberly. I have always believed in the pay-it-forward attitude, but I’ve been amazed and truly blessed with all the wonderful authors I have met along the way. Everyone I’ve met have been very supportive of each other. Writing is such a lonely profession that it is nice to have those connections. Reblogged this on Publishing Reviews.